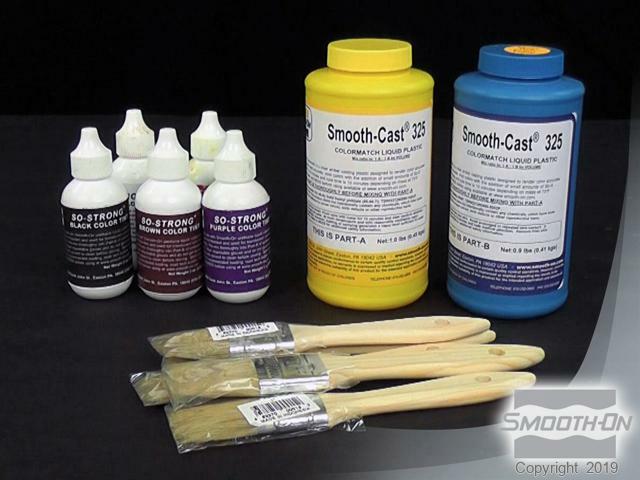 Using Sonite Paste Wax will prevent Smooth-Cast resin from adhering to foil. Brush over the surface of the aluminum foil and let dry for 15 minutes. 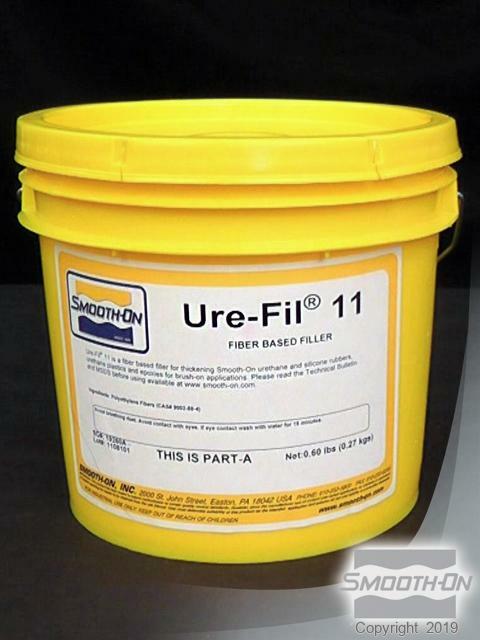 Ure-Fil 11 is a fiber-based filler that will thicken rubbers, plastics and epoxies. 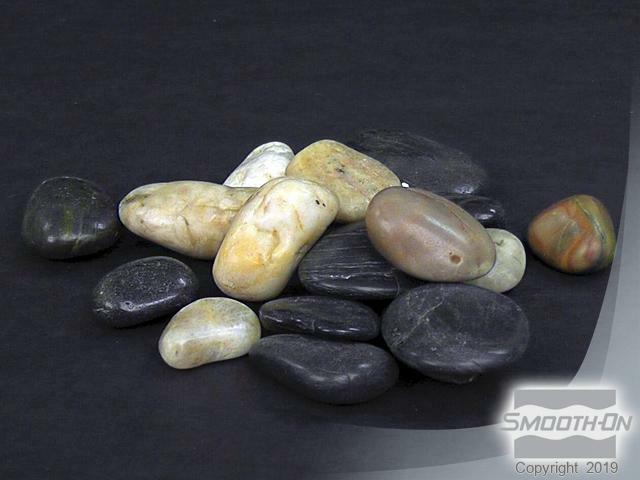 It is perfect for thickening Smooth-Cast 321 resin to imitate live rock. Dispense 3 parts of Ure-Fil 11 fiber powder. 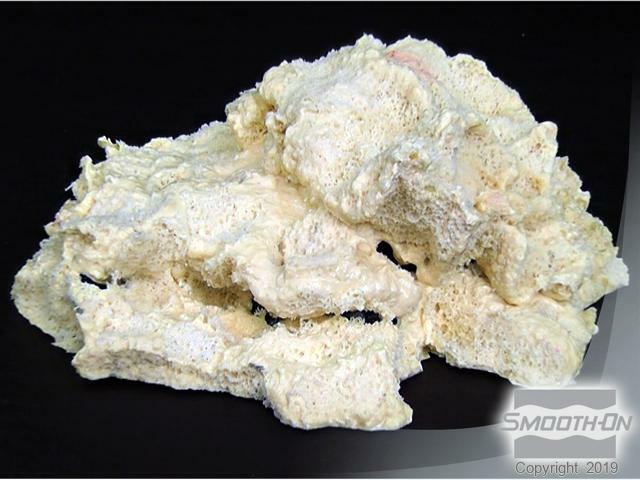 Smooth-Cast 321 off-white resin is used to create the texture of the live rock. Ure-Fil 11 filler will be added to it. Dispense 1 part A. Dispense an equal part of B. 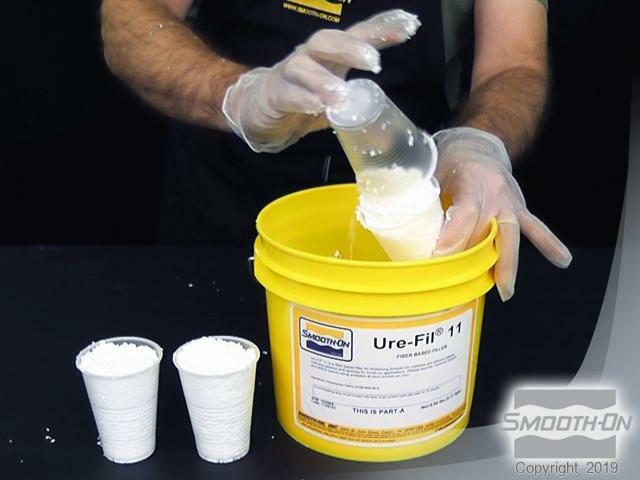 Combine the Ure-Fil 11 filler with liquid part B and mix to a thick paste.Add Part A liquid and mix thoroughly for 2 - 3 minutes. Smooth-Cast 321 has a pot life of approximately 7 minutes. The texture of the resin/filler will be a trowelable, paste-like consistency. 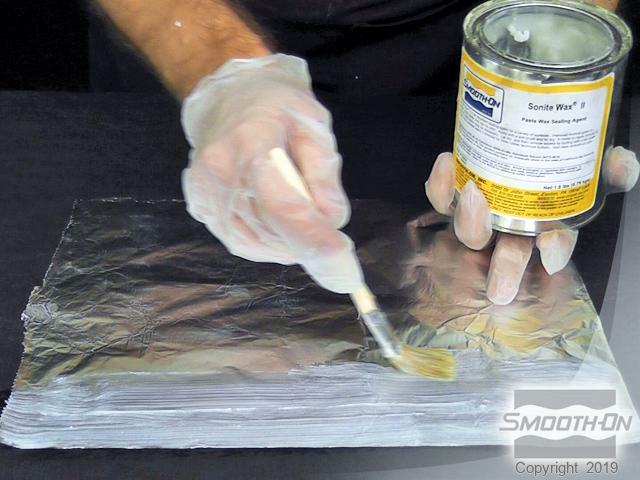 Apply mixed material to foil sheet to create a rough shape for the finished piece. River stones will be embedded to add weight and decrease buoyancy. 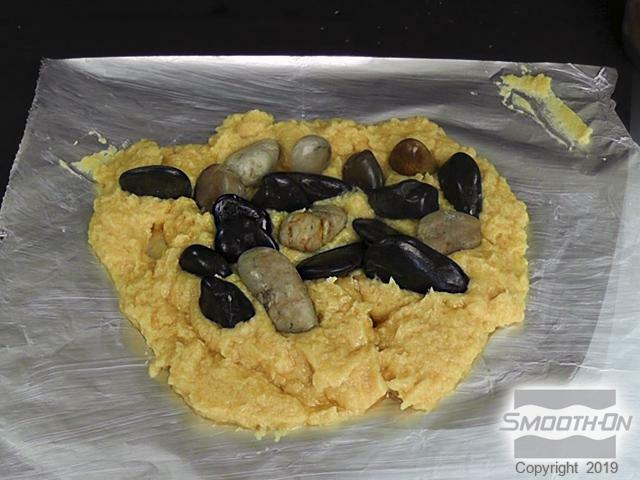 Place the stones into the resin/filler mixture. 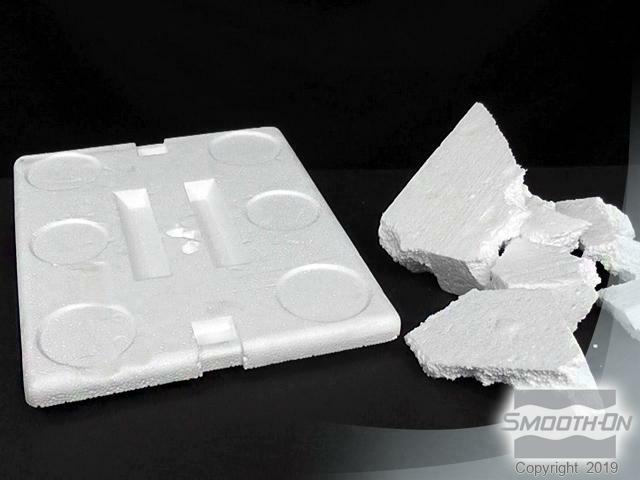 Pieces of polystyrene foam are added to imprint perfect rock-like texture into the resin/filler mixture. A second layer of resin/filler is mixed and applied over the river rock and the foam. 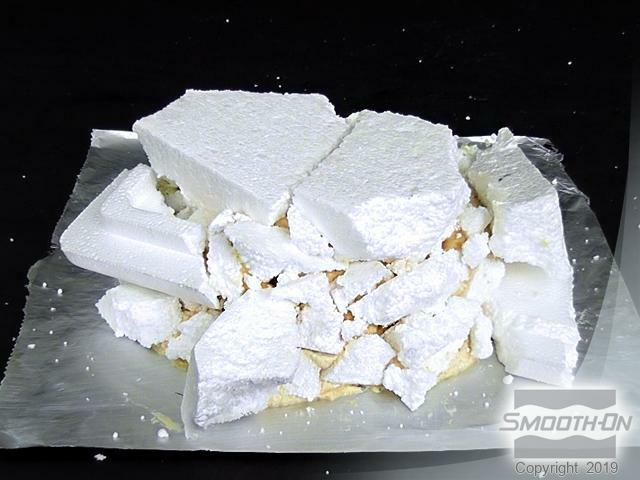 More random shaped pieces of polystyrene foam are embedded into the resin/filler mixture. A final layer of resin/filler is mixed and applied to build up the center area. Pieces of foam are added randomly to cover the resin/filler mixture. Allow the resin/filler to cure for 30 minutes at room temperature (73 F/23 C). 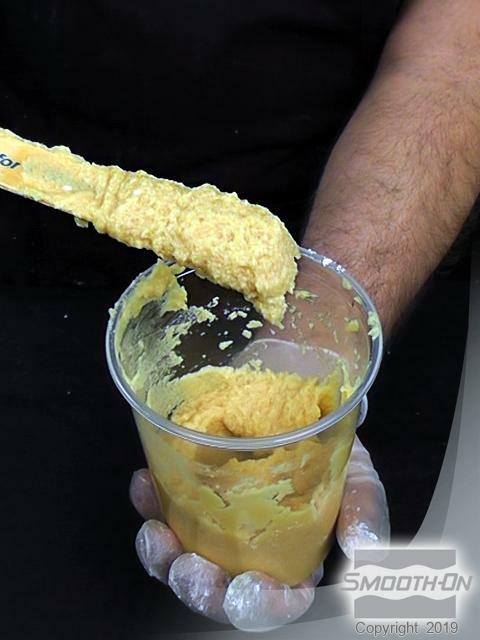 Break off and remove as much of the foam from the cured resin/filler as you can. 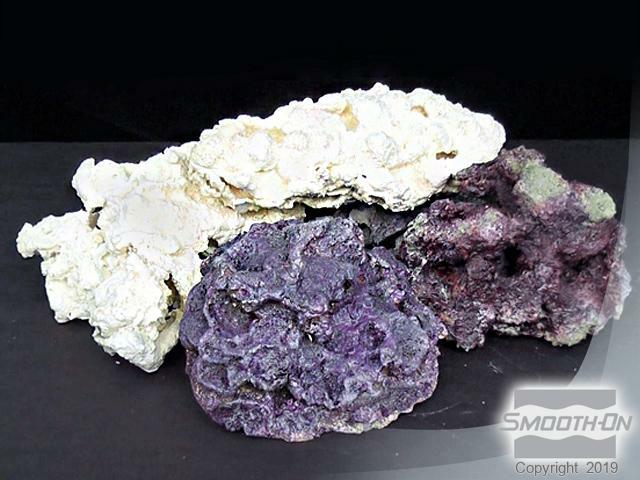 You will notice all of the rock-like texture imprinted into the cured resin. 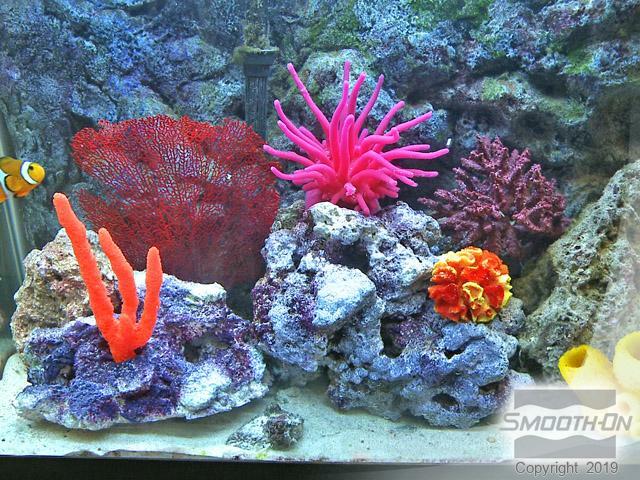 Keep the foam to use in making more live rock pieces. With the live rock casting taking shape, remove the aluminum foil from the underside of the base. 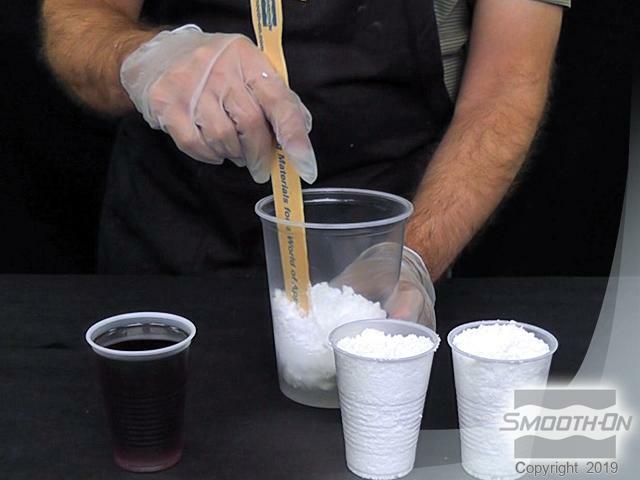 Acetone is used to dissolve the remaining polystyrene foam from the cured resin/filler. 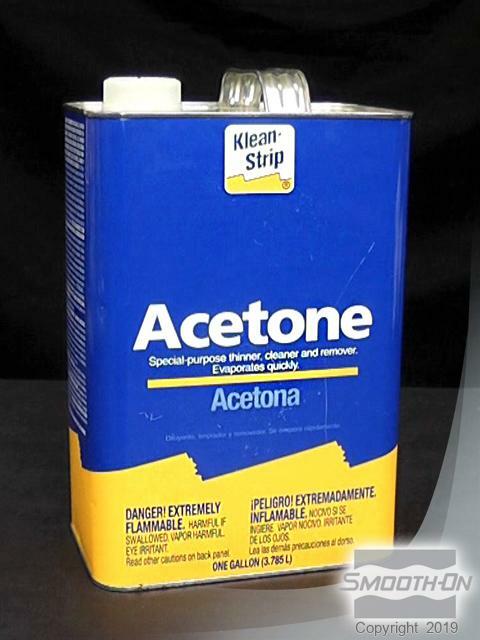 Warning: Read and follow all safety precautions when using acetone. 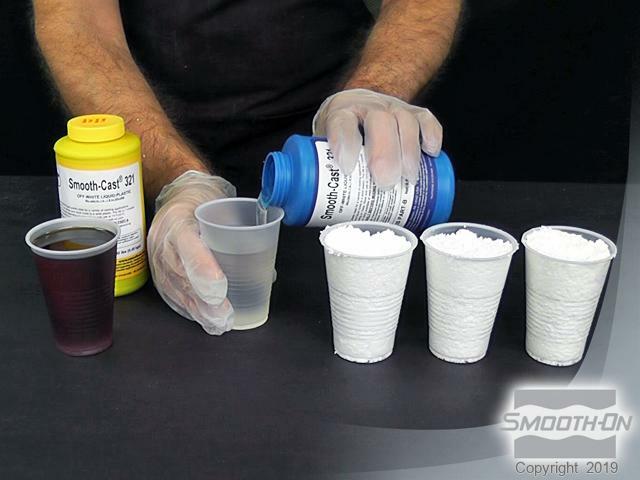 Dispense Acetone into a solvent resistant cup. 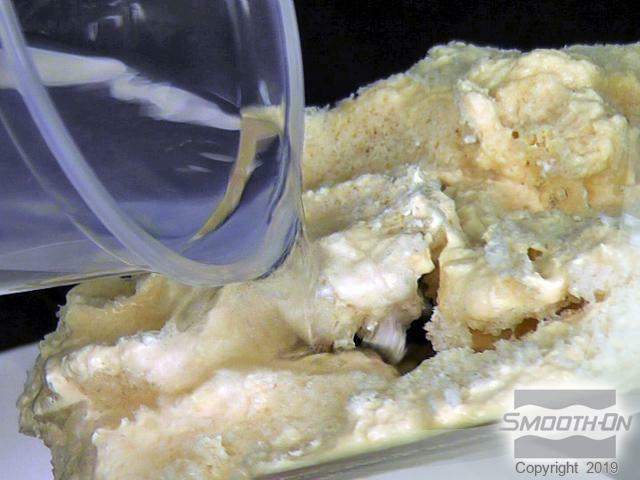 Slowly pour the acetone over the exposed foam to dissolve it. 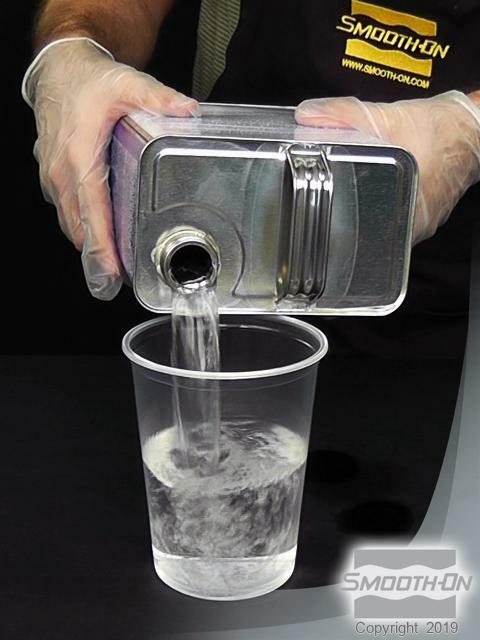 A solvent resistant container should be used to catch the excess liquid. Pour into crevasses to dissolve any foam that is inside of the casting. Holes and undercuts are now exposed. Used acetone can be saved in a solvent resistant container for future use. 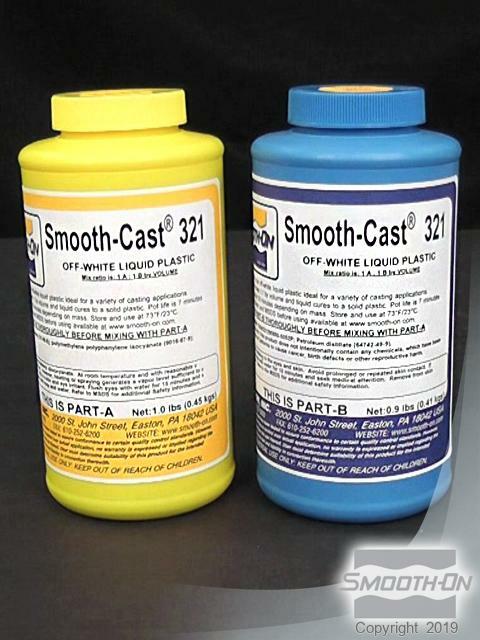 Dispense part A of Smooth-Cast 325. Dispense an equal part of B. Add a few drops of SO-Strong purple to part B. Pre-mix the color tint into the part B. Pour part A into the colored part B and mix thoroughly. Smooth-Cast 325 has a pot life of approximately 2.5 minutes. 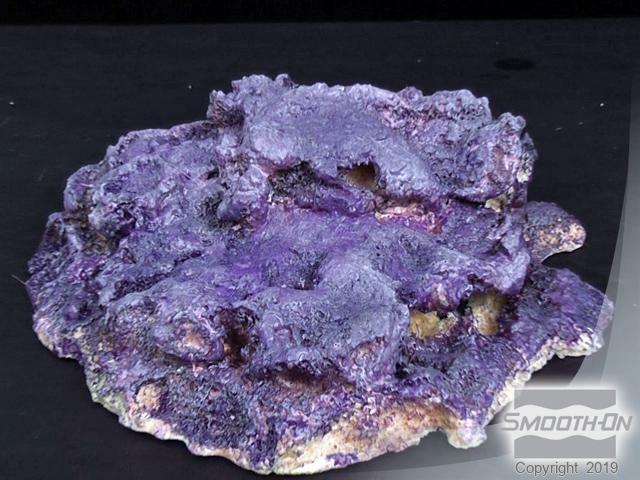 Use a brush to stipple the color tinted resin paint onto the rock surface. Additional batches of colored resin are layered over the casting. The rock is allowed to cure for 10 minutes at room temperature (73°F/23°C). The completed cast live rock looks exactly like the real thing. The size and shape possibilities are endless.